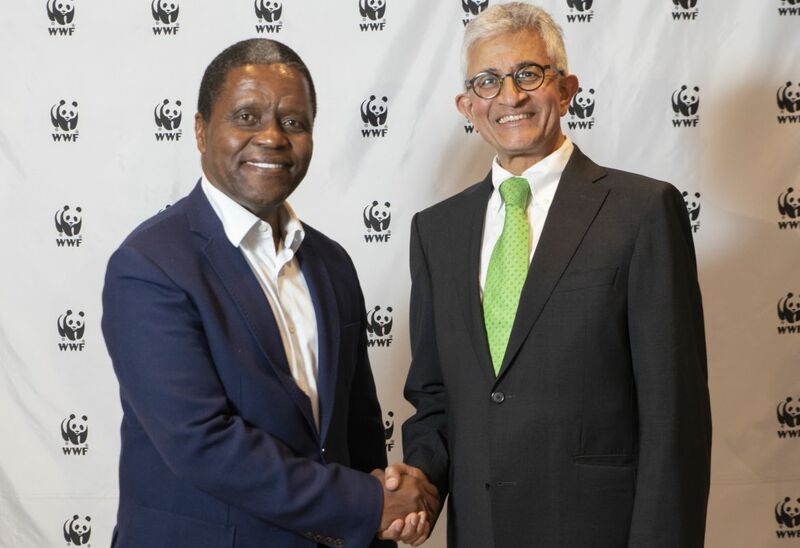 Vusi Khanyile has been elected the new chairperson of WWF South Africa’s Board of Directors at the NGO’s 50th Annual General Meeting. Among WWF’s priorities for the next financial year will be securing South Africa’s strategic water source areas while extending work on water in Africa with other WWF offices on the continent. This includes work in the Kavango-Zambezi Transfrontier Conservation Area and a project focusing on the continent’s river basins. Another key focus area will be a socioeconomic review to improve the understanding of the interrelationship between South Africa’s key challenges of poverty, unemployment and inequality and environmental sustainability. CEO Dr Morné du Plessis, commented: “We are delighted that Vusi Khanyile has agreed to take on this important role and look forward to the wealth of experience that he will bring to the table. It is also with deep thanks that we bid farewell to Valli Moosa who helped us navigate a complex political and social environment with keen insight and characteristic enthusiasm during his tenure as chair. Mr Khanyile, who recently stepped down as the executive chair of the Thebe Investment Corporation, has served as a director on a number of listed and unlisted companies and serves on various boards in a non-executive capacity. As a community activist, he has worked closely with numerous development programmes and community-based organisations, primarily in the education and civic movements, for most of his adult life. His previous appointments include: ANC Head of Finance (1990 to 1992), chair of the Educational Development Trust (since 1989), National Education Crisis Committee (NECC) founding chair (1985 to 1989), and Special Assistant to the Vice Chancellor, and later Deputy Registrar, at the University of Cape Town. He also worked in the finance division of Anglo American before setting up his own company. Mr Khanyile has an honours degree in accounting and finance from the University of Birmingham, held a fellowship in development finance at Princeton University, and has an honorary doctorate from Walter Sisulu University.